Every McDonald's I passed on my one-day trip to Tokyo, had a big Banana Shake promotional poster in their window. 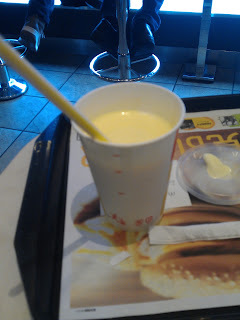 I don't think Banana is a standard milkshake flavour in Japan, so I had to try it. As I had Chicken Tatutsa just a few hours earlier, I opted for the smallest size, and much like everything 'small' I order in Japan, I was shocked by how small it could be, yet costing so much. I think I finished it in about 25 seconds, and though it was nice and refreshing (I had been walking around Tokyo for about 6 hours at this point), I was still thirsty when I finished it. 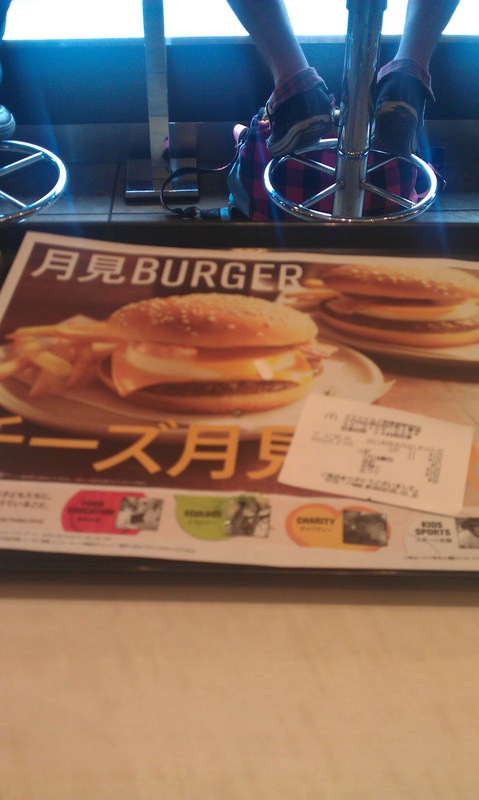 Unfortunately, I would not be in Japan for the upcoming promotional item that they were promoting on the tray inlay. The Egg Burger.